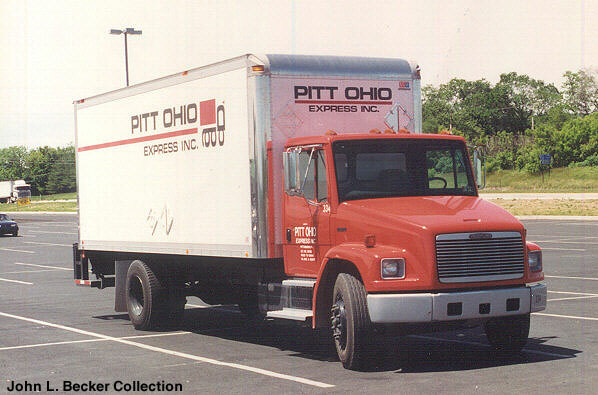 Type your PITT OHIO tracking number below, get live delivery information with our express tracking system. At PITT OHIO, our core values and business practices have been passed down from generation to generation. Charles Senior was the first in the Hammel family to start in the transportation industry opening Hammel’s Express in 1919 with a horse, a buggy and one customer. In the 1940’s his son, Charles Hammel, Jr., continued in the family business, which became the foundation from which Charles (Chuck) Hammel, III began to learn and love the transportation industry. If you have problem with our express tracking system, please track your package directly on the PITT OHIO website. If you get no tracking information from PITT OHIO official website, you’d better contact them. If you have shipped through PITT OHIO, you will have received a copy of your Waybill. Each waybill has a distinct number which can vary between 8 to 10 digits(eg: 09003336, 5002784838). PITT OHIO Truck On the Way. Have no idea about PITT OHIO? Read PITT OHIO reviews in advance and write a review after sending your package with PITT OHIO. Do you want to get a job in PITT OHIO? Find out their job list on PITT OHIO Jobs. If you have problem with our PITT OHIO Tracking system, submit your problem here, we will help you as soon as possible. Declare: We can NOT contact carrier or others on your behalf, we can only help you track your package with your PITT OHIO tracking number on official tracking system.